Why Do We Love Fashion Week Street Style So Much? Seriously? Only an alien going around naked would not get this. FW street style is the ultimate expression of style, of clothes, creativity and lack of fear when donning the craziest thing ever. 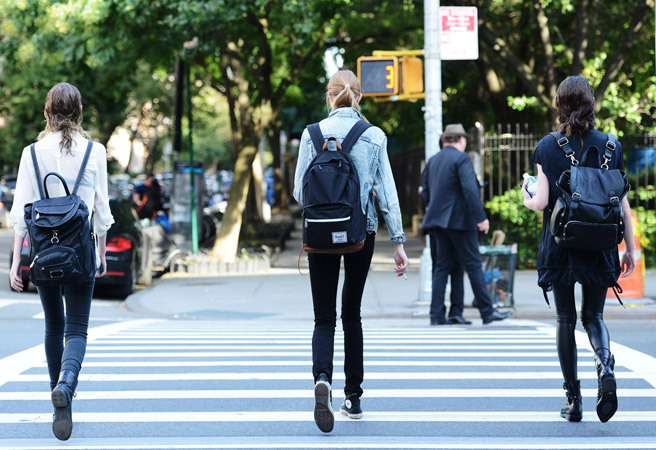 For the past week, New York streets are swirling with the coolest people, hipsters, bloggers, editors, photographers, writers, stylists, celebrities, models – who all have 2 things in common. 1. They adore fashion and 2. They own it out there style wise. It’s Spring/Summer 2014 Collections Time and fashion’s creme de la creme is in the Big Apple. Crazy colors, prints, mismatched trends or patters, textures, accessory abundance, crazy hair, makeup, vintage old wrinkled clothes alongside high-end brands, ripped jeans, posh heels or dirty old sneakers, caps, hats, bags, clutches… all adorn these hipsters and make us fashion-fantasize about clothes. Sometimes it’s the opulence of colors, textures, prints or designer brands that captures the eye, but other times (and this is a massive lesson in progress for us all), it’s the most simple outfit, last decade jeans or old T-shirt that has us all stare in complete awe at these cool kids. It’s style. Beyond trends. Beyond catwalks. But made up of some unfulfilled love for a certain decade, for old pieces that bare some meaning to each wearer. Or it’s the lack of interest. Careless, un-studied outfits scream personality and raw attitudes, and that’s what we want. We’ve all had enough of those polished magazine faces and perfect clothes, of ads that well… look like ads that sell. Give us a quirky way of wearing that Marc Jacobs top or a funky approach to a Carolina Herrera skirt, and we’ll take it. Or better yet, who needs them when you’ve got imagination and a strong urge for braking the street visual monotony? Someone once said there’s a new Fashion Week going on outside the shows, each year. And I agree. It’s more relate-able , doable, more genuine. And it’s always a case of ‘‘all is in, nothing is out”. He/She who’s more unafraid to explore and get style creative lands the pic that will inspire millions at home. Oh… and build in us an unquenchable shopping urge, and the promise to get more creative with our looks starting with… Monday. Now I ask you again, how can we not love FW street style? Seriously now. When Streets Turn Into Catwalks! New York Fashion Week 2014 Fall. FashionTag https://thefashiontag.com/wp-content/uploads/2018/02/logo-4.png FashionTag2013-09-10 18:00:282013-09-10 18:00:28Why Do We Love Fashion Week Street Style So Much? I love it! 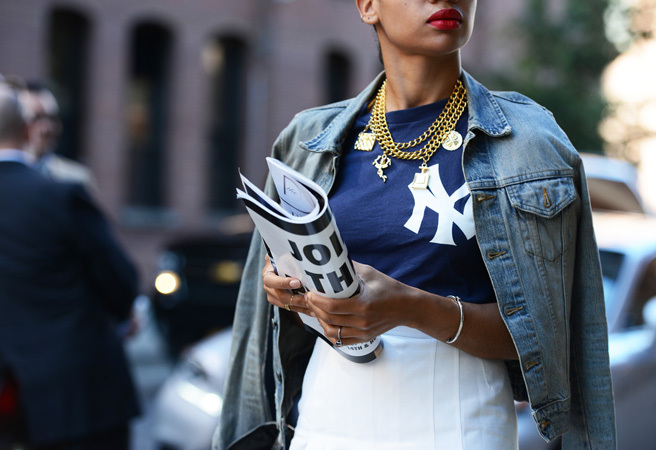 You know much of the time I enjoy looking at the street styles maybe a teeny bit more than the actual runway ones…. okay I admit it! Good-Bye Long Sleeves, Hello Long Leather GLOVES! What Should MEN Wear This Autumn? 2013 Fall Trends!